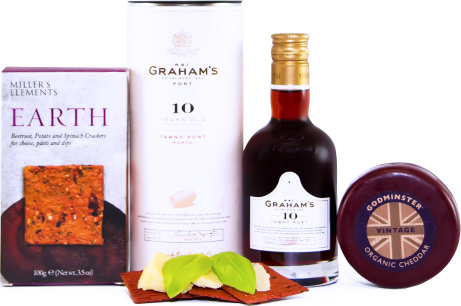 Grahams fine Tawny port is world renowned for its excellent and delicious flavour. Accompanied with this stunning gift, we have paired, delicious award-winning Godminster cheese with fine crackers. A gift sure to be appreciated.